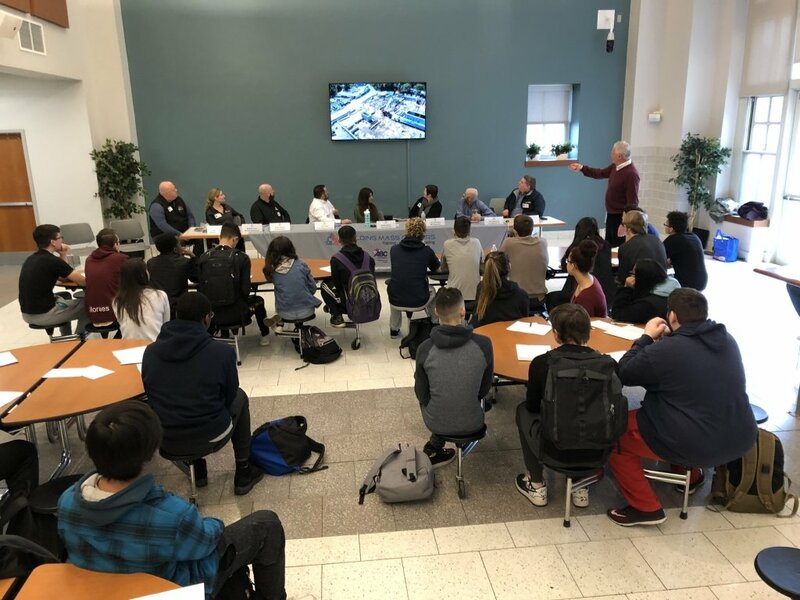 On Friday March 22, 2019 Woburn High School Juniors and Seniors got an opportunity to learn about the Construction Industry from a panel of experts, thanks to Woburn High Principal Jessica Callanan and Board member Steve Sullivan. 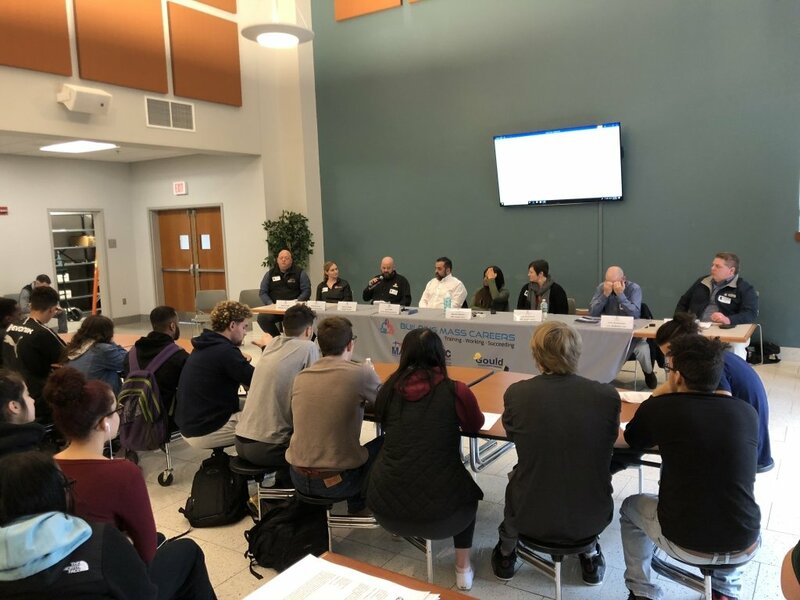 The Construction Industry Panel was comprised of representatives from Associated Builders and Contractors, Inc., LC Anderson HVACR, MC Methuen Construction, NEL Corporation, Sunbelt Rentals, and Tocco Building Systems. They spoke with students about career pathways, employment and training opportunities, and professional skills development. Speakers shared their experiences of entering and advancing in various occupations in Construction. Recurring themes included the importance of developing soft skills, taking advantage of opportunities that present themselves, and being willing and ready for lifelong learning. Students then engaged the panel during a lively Q & A segment. Thanks to all the participants, especially the Woburn High students, who gave their time to this event.